In this post are two query letter samples. The original query letter sample was written by a published travel writer invited on a 4-wheel cross-country tour across the mountainous Greek interior. The second query letter sample is my revised version. I have the opportunity to review a lot of query letters written by travel writers. Some of the writers I coach are beginners and some are already published. Typically, my writers have little difficulty dreaming up good story ideas. It’s fun to see the different story angles they dream up. But, conveying the excitement of those story ideas in a query letter isn’t always as easy. In fact, it seems to elude many writers until they get some experience by writing a few dozen. To give you a brief synopsis, the cross-country tour for this query letter includes driving through valleys, past pristine lakes, monasteries, olive groves, cascading waterfalls, crossing streams and rivers. The tour group stays in small lodges and visits Delphi, the ancient center of the world. They visit old flour mills, eat the best Greek cuisine and drink robust Greek wines every night. In other words, the trip of a lifetime! The catch is this travel writer needs an assignment in order to go on this journey. The pressure is on! When you think of Greece what comes to mind? Bronzing yourself on sun kissed beaches, sipping ouzo on the quay as you wait for the fishing boats to arrive with the day’s catch, or just gazing out at passing islands in the moonlight as your night ferry glides you to your next destination? What you may not realise is that there’s another glorious side to Greece. An inland Greece. One with rugged mountains and rarely seen valleys, pristine lakes and nomadic monasteries perched high on mist covered cliff tops. Would a feature on criss-crossing the Greek interior in a 4x4, over 3000 metre mountains, through ripened olive groves, traversing valleys with breath taking views and navigating wild rivers be a good fit for 4x4 Magazine? The article can be 1000-2000 words and I would supply multiple photographs. The trip starts in Athens enjoying the usual tourist sites, and then heads north into the wild interior. We cross streams and rivers waist deep in the water, staying in small lodges overnight on the tops of mountains, passing through the centre of the world at Delphi, before finally rising before dawn to meet the sunrise over the monasteries of Meteora perched high upon the cliff tops. Please let me know if you have any questions regarding this story idea. I can be reached by return email, or on the number below. Thank you for your consideration and I look forward to hearing from you. The travel writer did some research from the website of the adventure company that offers the trip to create this query letter. He fired it out to a number of likely candidates for which the story seemed like a good fit. Unfortunately, there was no response. After receiving no response with his query letter, the writer contacted me and asked me to review his query and give him some feedback. After reading through the query it was clear that although the basic information about the trip was solid, the query letter lacked pizzazz. In other words, it didn’t convey the excitement or the ‘oomph’ of the off-road odyssey. So I got to work on it, and spiced it up to produce the following query letter. Here's your job - read both query letters and compare them. Then compare your notes with mine at the end of this article. I’d like to submit a feature piece telling your readers about my upcoming 9-day odyssey across the Greek Interior Mountains on a 4 x 4 off-road vehicle. In late April, I’ll be crossing these rugged mountains, as we grind and jolt through rarely seen valleys, and past pristine lakes and nomadic monasteries perched high on mist covered cliff tops. My feature will cover our exciting traverse over 3000-metre high mountains, through ripened olive groves, and valleys with breathtaking views. My journey starts in Athens where we will enjoy the standard tourist sites. We then head north into the wild interior. Our group, accompanied by Tripology Adventures guides (link to website) will be crossing streams and rivers waist-deep in water, and staying in small lodges overnight on craggy Greek mountaintops. We’ll pass through the mythological Centre of the world at Delphi, before finally rising before dawn to meet the sunrise over the monasteries of Meteora perched high upon the cliff tops. We’ll navigate rivers boiling with white water rapids, see cascading waterfalls, visit ancient flourmills—plus dine on fantastic Greek cuisine and wine every day. Most people think of tourist experiences in Greece as bronzing yourself on sun kissed beaches and sipping ouzo on the quay as you wait for the fishing boats to arrive with the day’s catch. But there’s another glorious side to Greece—an inland Greece that stands off the beaten path for most tourists. Our ride through central Greece offers a climb up the enormous Giona Ridge and along Helikon Ridge, through mountain passes, and a stop at the octopus-shaped Mornos Lake. We’ll also visit a hanging church and forested landscapes, and swim in the Gulf of Corinth and turquoise inland pools. My article will be 1200-2000 words but I’ll be happy to write it to your specifications. I will provide a gallery of high-res photographs to accompany it. Where appropriate I will use sidebars to illustrate my story. Please let me know if you have any questions regarding this story idea. Please contact me if this piece looks like a good fit for your excellent magazine. Thank you for consideration of this article and I look forward to hearing from you at your convenience. What Differences Did You Spot Between the Two Query Letter Samples? 1. Make your masthead look more like a professional business letter. Remember, this isn’t just an email to a friend - it’s a professional business letter. Do your best to make it look like one, even though it’s an email version of a letter. 2. Get straight to the point in the first sentence. Many writers like to do a little ‘dance’ first, circling around the topic, but not really stating it. By getting to the essence of the pitch in the first sentence, the editor will either reject it immediately, or read on. You want this. I relegated the writer’s lead-in paragraph (from query letter sample 1) down to the 6th paragraph because it didn’t address the story idea immediately. 3. Make your pitch flow. In query letter sample 2, I re-arranged the sentences to make the pitch flow better overall. It reads more like a story and gets the editor involved in seeing what the trip is all about. 4. Beef up the information about your journey. After looking at the adventure company’s website, it quickly became clear that the writer had not included enough ‘jam’ or juicy details about the journey. I expanded the details about the journey from 3 paragraphs to 7 paragraphs in the second query letter sample. Now it’s juicy! 5. Spice up your descriptions. For example, “We’ll navigate rivers boiling with white water rapids” sounds a lot more exciting than “We cross streams and rivers waist deep in the water”. The overall effect of this is to help the editor conjure up pictures in his mind. Once you get an editor thinking like this, they’re yours! 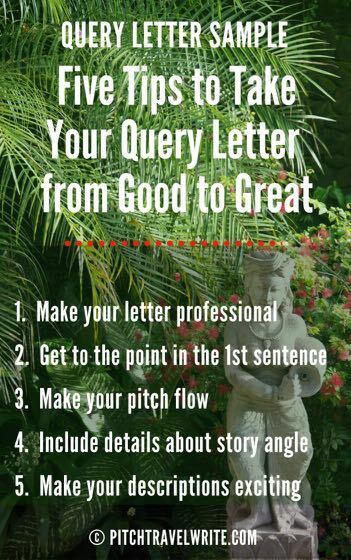 These five tips will transform your query letters from good to great. Remember, your query letter is your one big chance to sell your story concept to the editor. You’re trying to paint a picture for the editor of what your story will look like. By elaborating on the facts of the story, and making them flow better, you paint a higher resolution picture of the story and show greater depth. And the end result is a greater chance that the editor will pick up your story. You’re probably wondering, did the writer successfully sell the story using my rewritten query letter (sample 2)? 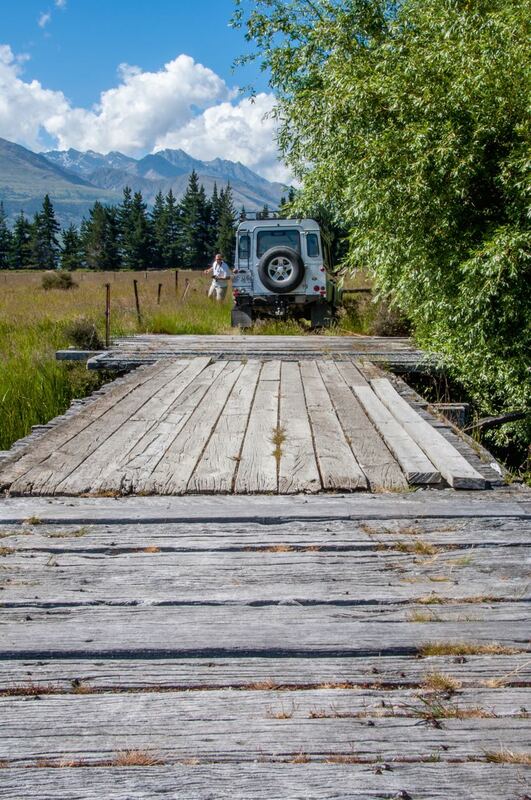 I’m happy to report that a prestigious, glossy adventure magazine that specializes in stories about off-road journeys accepted the story on spec—subject to the writer submitting a well-written article along with a gallery of suitable photographs. Since the story will be about 2500-3000 words, at $100 per page his take-home pay will be $1000-$1200, depending on final length of the article. Snagging this assignment enabled the writer to go on an exciting adventure tour, write about it and get paid when the article is published, and add a prestigious byline to his portfolio. My sincere thanks to the travel writer who so graciously allowed me to share his original query letter with you for this learning experience. You can write successful query letters to sell your travel stories. 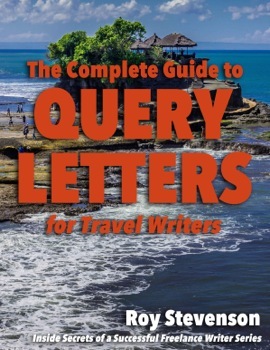 In my eBook The Complete Guide to Query Letters for Travel Writers, there are twenty query letter samples - these are letters I used to sell stories, along with marketing tips about why the query letter worked. You can use these query letter samples as templates to create your own queries.